Chinese porcelain had already been in existence for at least some five or six hundred years when China was first discovered by European seafarers looking for the spice islands, during the Ming dynasty. Rediscovered would be more appropriate, for the venetian Marco Polo had been in China during the previous Yuan dynasty (1206~1367). He reached it by travelling over land through central Asia. The Portuguese were the first to discover China. Their ships reached the Far East in the Ming dynasty. At that time Chinese porcelain had already made the transformation from mostly monochrome to polychrome wares. Blue and white porcelain had been made for a couple of hundred years, and the Portuguese brought back ship loads of this commodity to Europe. Blue and white porcelain was already a well developed and attractive when European explorers set their eyes on them for the first time. When blue and white wares arrived in European ports for the first time, the Chinese porcelain had already been an export commodity for centuries. Porcelain was first carried over land via silk road as early as the Tang dynasty (618-907). Song dynasty shards have been found along the coasts of South Asia and eastern Africa. Ocean-going junks also shipped porcelain from China to ancient kingdoms in Southeast Asia (Srivijaya, later Majapahit) and South Asia (Ceylon, India). From there it was transshipped to the Middle East and down the east coast of Africa. Up to the Ming dynasty (1368-1644) China's porcelain production was mainly export driven. However, during the Ming dynasty porcelain was also increasingly made for domestic use. Before blue and white porcelain appeared, celadon was the main export product. The porcelain used in China itself up to the Yuan dynasty was usually either plain, without decoration, or it was celadon, monochrome, or otherwise decorated in drab colors. Some of it had decorations that were scratched or impressed in the clay, which would then appear with a darker shade of the same color in the fired glaze. In the Yuan dynasty, when China was under Mongol rule, underglaze blue porcelain replaced celadon as the most favored export ceramics. This shifted the importance of exporting kilns to Jingdezhen*, where the blue and white wares were produced. It became the major porcelain production center. This shift had a drastic effect on the industry as a whole. Up to then celadon and monochrome wares were manufactured in huge kiln systems, consisting sometimes dozens or hundreds of individual kilns spread over vast areas. 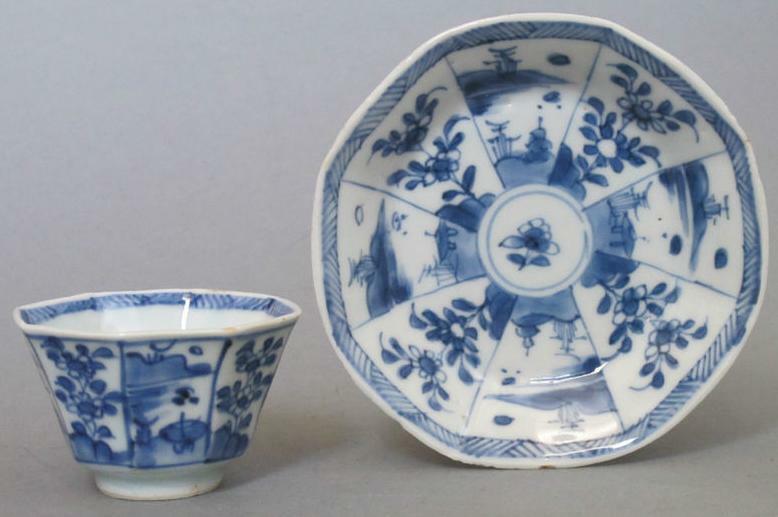 These started now to decline as demand for the export of blue and white porcelain increased. Only the Longquan kiln system continued to flourish for some time, paradoxically, due to increased export orders received for celadon. This was possibly due to the fact that other celadon kilns had ceased production by then. The time of the great kiln systems** of the Song and Yuan dynasties was over. ** Kiln system = There were sometimes dozens or hundreds of individual kilns producing similar wares as the main kiln. One of the largest was the Jun kiln system; the kilns producing jun wares were spread over a vast area from Southern Mongolia down to the Changjiang (Yangtse river). Early records mention that the Mongol ruling class preferred metal table wares over porcelain, thus it must be assumed that most of the blue and white porcelain of the time was produced for export. The taste of new foreign buyers, mainly the Europeans arriving in the 16th century, caused the domestic porcelain production to reach new heights during the 16th and 17th centuries. As a result Chinese porcelain exports experienced a major shift towards buyer oriented designs. Before that, much of the porcelain for domestic use was the same as the exported wares. 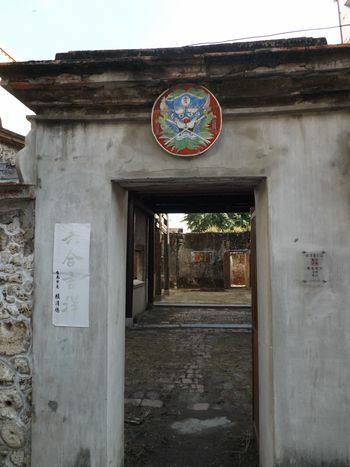 With the new importance of its blue and white wares, Jingdezhen was now even more important, and in the Ming dynasty the imperial court designated a kiln at Jingdezhen as the official kiln to produce the ceramics required by the palace. The kiln retained this position until the end of the Chinese empire. Jingdezhen became the mainstream production center, making porcelain of a higher quality than any other kilns. Most other kilns were relegated to manufacturing secondary or inferior quality wares for the general population. Only a few, like the Dehua kiln for example, were able to keep in step with Jingdezhen, producing both low and high-end wares. "History" means here how and why Chinese historical events affected production, and the progress of ceramic development. Some kilns still active today are known to have produced ceramics over 3000 years ago. Not difficult to imagine, that the historical developments in the land that we today call China did influence at times (or many times) ceramic development. The effect of history on ceramics was sometimes very severe. There is no need here to mention details of any of the dynasties in the more distant past, however. During the Tang, Song and Yuan dynasties (see 'History Timeline') Chinese kilns were busy filling domestic and overseas demand for ceramics. Development of new production methods, decorations, etc. went hand in hand with the population's prosperity, which these activities brought during those times. The Ming and Qing dynasties provide enough examples in view to how ceramics, their quality and production was affected by actual historical events: piracy, civil war, fall and change of dynasties, opium wars, rebellions, etc. So let us mention what happened towards the end of the Yuan dynasty. When the Mongols lost their clout over China towards the end of the Yuan dynasty, underglaze blue and white decorations of porcelain were already well developed, although probably not yet the mainstream of domestic ceramics. Much of the blue and white ceramics were exported. In the China of those days only the affluent classes or nobility were able to afford these. During the reign of the first emperor of the Ming dynasty, Hongwu, the first ban of maritime trade was slapped on China by the imperial court. This was not the only time, however. What usually is called the Ming ban in the west was only the last one, noted for the way it affected the trade with Europe, especially during the late Ming dynasty. Shortly after the Ming dynasty was overthrown and the new Qing court had itself established, another sea prohibition was proclaimed. During this time the inhabitants were forced to move inland, away from the coast. The purpose was mainly to fend off the remaining Ming loyals, especially their fleet under the command of Zheng Chenggong (aka Koxinga), operating in coastal areas from their base in Formosa (Taiwan). During the ban of the late Ming dynasty some porcelain was still smuggled out in ships. However, the Qing ban interrupted the trade completely, so that even the Dutch Eastindia Company, which at the time was dominating almost all foreign trade in the region, was forced to turn to Japan for supplying the required porcelain. This was the last such ban in imperial China. It was finally lifted during the early Kangxi reign (in 1684), after the Qing government successfully routed the last resistance in Taiwan. The Dutch Eastindia Company resumed trading with China without delay. Export production moves partially to Vietnam, Thailand, etc.